Explanation: This 3 month long exposure packed the days from December 22, 2015 through March 20 into a box. 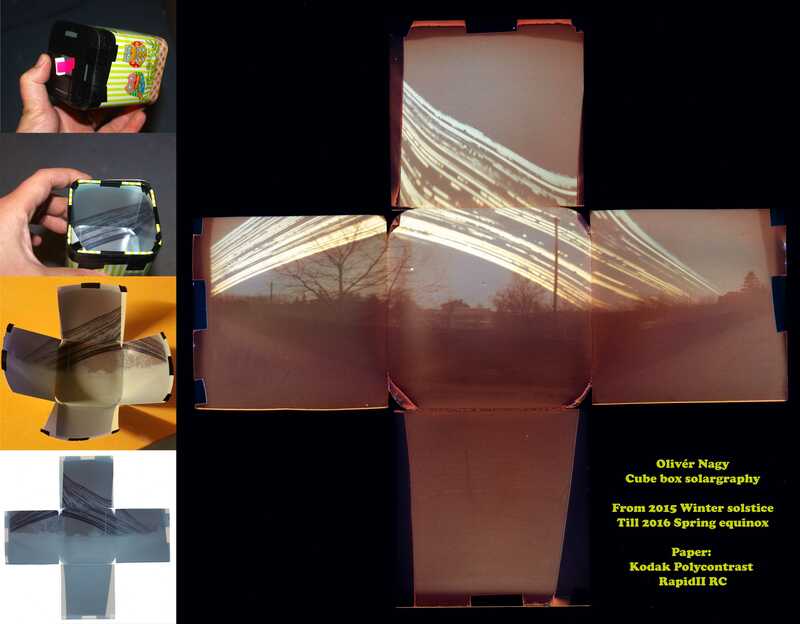 Dubbed a solargraph, the unconventional, unfolded picture was recorded with a pinhole camera made from a cube-shaped container, its sides lined with photographic paper. Fixed to a single spot for the entire exposure, the simple camera recorded the Sun's path through Hungarian skies. Each day a glowing trail was burned into the photosensitive paper. From short and low, to long and high, the trails follow the progression from winter solstice to spring equinox. Of course, dark gaps in the daily sun trails are caused by cloud cover. Sunny days produce the more continuous bright tracks.